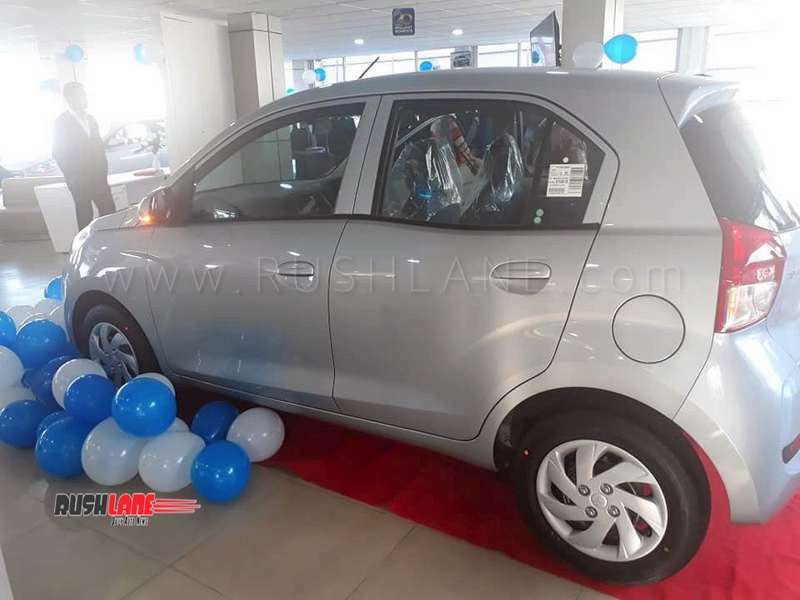 Prices of the new Hyundai Santro start from Rs 3.9 lakhs, ex-showroom. All-new Hyundai Santro has already been launched and it has received good response with bookings numbers at 38,500. Hyundai has rubbished reports which claim that bookings of Santro has been suspended. Hyundai Santro bookings are open and first 50,000 customers who book the Santro will get the car at introductory prices. Based on a new generation platform, the 2018 Santro is much bigger and wider than the older Santro. This has allowed for more space on the cabin. Looks have also been improved, and the car now looks modern – though a lot like the existing Grand i10. 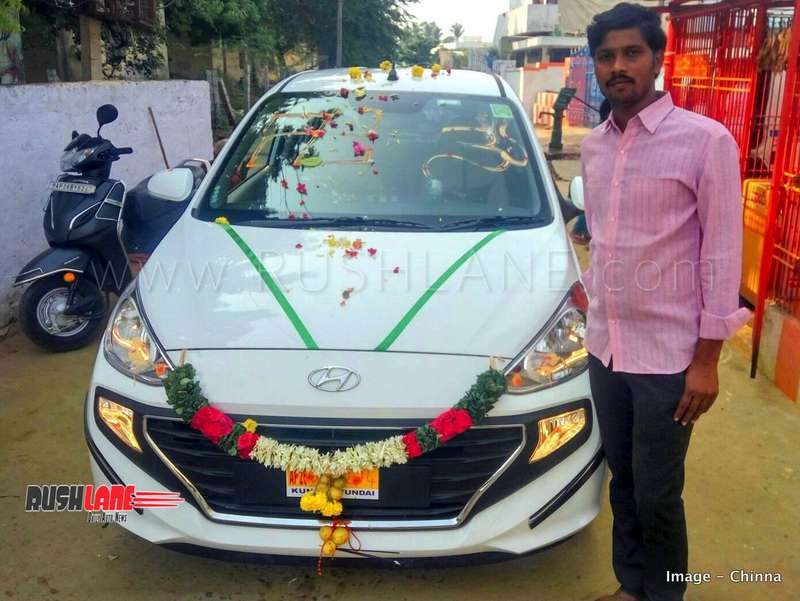 2018 Hyundai Santro gets power from 1.1L engine. It is available in two fuel options – petrol and petrol with CNG. The 1,086 cc engine block returns max power of 69 PS at 5,500rpm and max torque of 10.1 kgm @4,500rpm. Hyundai Santro CNG returns max power of 59 PS @ 5,500 and max torque of 8.6 kgm @ 4,500. ARAI certified fuel efficiency for the petrol 5 speed MT is pegged at 20.3 kmpl; SMART AMT at 20.3 kmpl; and CNG at 30.48 km/kg. New Hyundai Santro claims to offer best in class safety . It meets Pedestrian Safety norm, and features lower stiffener in the front crash beam to safeguard passengers. Standard features include ABS with EBD, and Dual Front Airbags with standard Driver Airbag. There’s impact sensing auto door unlock, rear parking sensors, and a Strong Body Structure (63% AHSS+HSS). It also gets speed sensing auto door lock, and seat belt pretensioner with load limiter. The new generation Hyundai Santro has been launched in India at a starting price of Rs 3.9 lakhs. This goes on all the way to Rs 5.65 lakhs. Compared to this, prices of rival cars Tata Tiago petrol ranges from Rs 3.4 lakhs to Rs 5.63 lakhs. Another rival to the Santro is Maruti WagonR, whose prices ranges from Rs 4.15 lakhs to Rs 5.36 lakhs. All prices above are ex-showroom Delhi.